We're often asked if we'll ever offer a bench building video, or complete videos on how to install our vises. And the answer is, not anytime soon. You may be wondering if this is shortsightedness on our part, lack of interest, or that we're too cheap to shell out the money for a video studio, which is significant. The reason is, there are others out there who can do it better than us. Here they are. Marc was the first to make a serious video on building our Split Top Roubo. Marc's video skills and presentation are excellent. You won't find a more comprehensive and easy to follow series than Marc's. For $110 you get almost 10 hours of instruction covering every aspect of the build, and the vise installation, along with printed plans. It's an excellent value. Marc also includes videos on retrofitting a Crisscross and our latest Glide, in addition to the original Glide leg vise. In this video ($35) Chris and Will not only build a bench together (featuring our Classic Leg Vise), but discuss different ways of getting there. There's some pretty funny moments too. Definitely worth the watch even if you're not building a bench. Guido has two excellent videos (in German) on the installation of our Glide Leg Vise and Tail Vise. Although the videos are in German, they are mostly without narration and subtitles, and the video quality is excellent, providing a clear view of each step of the process. The third video is a tour of the bench, in English. Matt studies furniture making in Oxford, England. 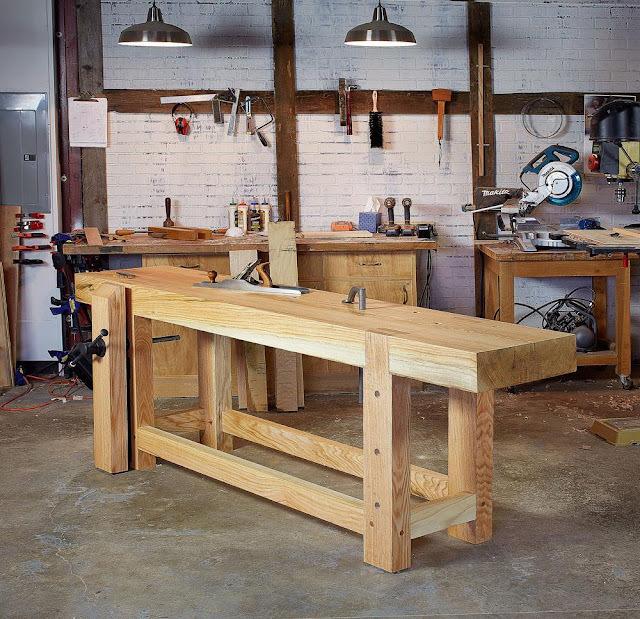 Follow along as he build "Bertha" his Roubo bench outfitted with Benchcrafted vises. Excellent production quality. Some good enthusiast content here. Watch as Kev makes a Hi Vise and retrofits a friend's bench with a Glide. Not so much an instructional video, but nice to watch nonetheless. Very relaxing. Watch Tom build and assemble a Moxon vise entirely with hand tools. An ongoing series of Mike's Split Top Roubo build, in German. Mike also has a series on building our Moxon vise. There are many others out there, and a "Benchcrafted" search on Youtube will yield loads of results.